Like Mother(-in-Law) Like Daughter? Influence of the Older Generation’s Fertility Behaviours on Women’s Desired Family Size in Bihar, India. 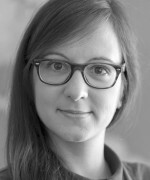 Valeria Bordone joined the IIASA World Population (POP) Program as a Research Scholar in March 2011. Her current research focuses on ageing and cognitive functioning. Dr. Bordone completed her PhD at the University of Mannheim, Germany, with a dissertation on intergenerational relationships in ageing societies. She graduated in economics at Bocconi University in Milan, Italy in 2004. In 2006, she was awarded an MSc in Health, Population and Society at the London School of Economics, UK. In 2006-2007, Dr. Bordone participated in the European Doctoral School of Demography programme, held by the Max Planck Institute for Demographic Research in Rostock, Germany. Since 2010, she is an associate of the Dondena Centre for Research on Social Dynamics at Bocconi University in Milan, Italy.